Ochestral manoeuvres in the courts make for a mouthful. Perhaps the greatest testament yet to the timelessness of the Electric Light Orchestra's synth-rock came last Saturday with the Russell T Davies penned Doctor Who episode, Love and Monsters. The quirky tale revolved around an ELO fan caught up with the mysterious time-traveller and, needless to say, the entire adventure was scored with snippets of 1970's favourites such as Mr Blue Sky, Evil Woman and Don't Bring Me Down. Not bad for a band that hasn't had a hit in more than two decades, but then ELO were one of the most successful groups of the 1970's and early 80's, spending 255 weeks in the singles charts. To date they have sold more than 100 million records worldwide. The ELO's innovative sound - a combination of Roy Orbison's pathos, Chuck Berry's jazzy rock 'n' roll riffs and Beatles' pop, all shrouded in an electronic orchestral wrap - was initially the concept of Jeff Lynne, Roy Wood and Bev Bevan back in 1971. They were later joined by conductor Louis Clark, who will recreate that electronic vibe on Saturday at the Playhouse, when he conducts Electric Light Orchestra Part II Original Founder Members - a mouthful if ever there was one. Clark is joined by other ELO stalwarts Mik Kaminski and Kelly Groucutt, in a line-up completed by newcomers Parthenon Huxley, Eric Troyer and Gordon Townsend. Recalling how he first became involved with the original ELO, clark says, "I knew Jeff back in the 1960s when he was in Idle Race and I was with the Raymond Froggatt Band. I was doing something with Ray in the studio and Jeff was laying down tracks for an ELO album. He was using a couple of cellos and a violin and I was doing this thing with a big orchestra. He kept coming up and listening to what we were doing." That meeting, in 1974, led to clark being asked to conduct the orchestra for ELO's breakthrough album in the US, Eldorado - the first of six ELO albums he would arrange and conduct. Over the years 27 musicians have performed with various incarnations of the band. It was their Out of the Blue album in 1977 that established the ELO's mainstream popularity with radio-friendly tracks such as Turn to Stone, Sweet Talkin' Woman and Mr Blue Sky. In 1980, a new decade saw Lynne take the band in a new direction, working with Olivia Newton John and scoring a No. 1 with Xanadu. ELO disbanded a few years later, and drummer Bev Bevan formed Electric Light Orchestra Part II when Lynne went into producing but retained the right to continue recording under the ELO name. 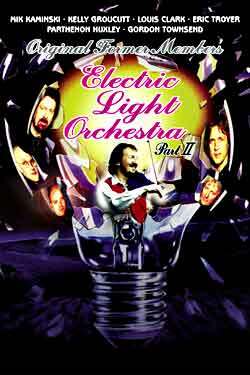 Hence the current band's unwieldy moniker - Electric Light Orchestra Part II Original Former Members. "The lawyers agreed it," says violinist Kaminski, adding that despite the name change the band is still in great demand. 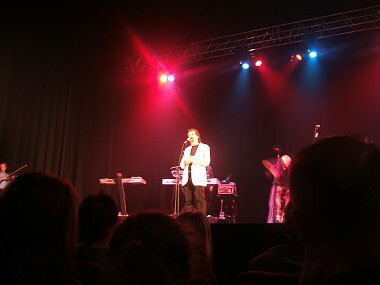 "We're going out to Guatemala and Chile, and there's talk of Russia and Denmark," says Kaminski, who joined ELO in 1973. 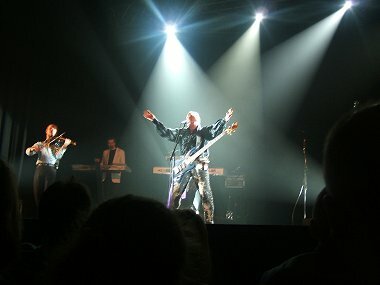 The band decided to reform for the current tour after the success of the 2005 CD, The Very Best of the Electric Light Orchestra: All Over the World, which has now sold more than 250,000 copies. Groucutt says: "It is a great reunion. It is going really well. I think if anything, we are better than we were before. It totally sounds better that the original ELO, purely because of the technical developments in recent years. Band turn on a full-power performance. THERE were no spaceships. Then again, you don't really expect there to be any. And if that was the only complaint you can come up with for a rock gig, then it must have been a pretty good show. And it was. ET may have gone home, but a bevy of lasers and, what looked like half a ton of dry ice smoke created a suitably dramatic entrance for a band with an equally dramatic history. One so full of twists and turns and lawyers and arguments, that in order to perform they had to agree to be called the "Electric Light Orchestra Part II Original Former Members" wherever their name appeared in print. By all accounts, shows by the original group were spotty affairs. 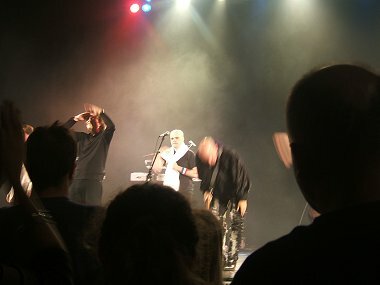 That trademark orchestral sound that was achieved in the recording studio had to be reproduced with tape-recordings during their first tours. Not so here. This band had the advantage of modern technology and instruments on their side, not to mention decades of performing experience to draw on. Those glorious Bee Gee-esque multi-harmonies were sung live by just three of the musicians, though and the orchestral parts were played live either on keyboards or by legendary violinist Mik Kaminski. Not a tape recorder in sight. Starting as they meant to go on, the band exploded into Evil Woman and, right from the off, the audience were clapping along and singing their heads off. The familiar Spanish-sounding violin took the band rollicking into their second classic number, Livin' Thing. Bassist and one of the three vocalists, Kelly Groucutt, had stiff competition from the audience on the chorus, a fact the band were going to have to get used to as the show went on. A smooth segue into Xanadu - minus Olivia Newton-John, but not really missing her - got the sell-out Playhouse audience jumping in their seats. Later, the guitarist and vocalist with the probably unique name of Parthenon Huxley ripped through Wild West Hero, occasionally whipping his guitar cable around like a lasso. He then provided some seriously tasty guitar licks while keyboard maestro and third vocalist Eric Troyer powered through the luxurious Can't Get It Out Of My Head. 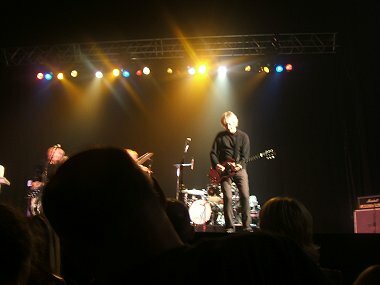 Turning to some of their earliest songs, the band delighted old time fans by pulling Showdown and Ma Ma Ma Bell out and dusting off the cobwebs. They might have been old chestnuts, but they were still fresh and potent. Later still, Groucutt put down his bass in favour of a guitar, playing a touching and gentle version of Midnight Blue to rapturous applause. The band played a storming version of the Beatles hit Twist and Shout, bizarrely and beautifully arranged as though it was a classical piece. A stream of old favourites followed, including Shine a Little Light, Hold on Tight, Telephone Line and of course, Mr Blue Sky, considered by many to be their defining moment. By then almost everyone in the Playhouse was on their feet and, going even further back in time, they covered Do Ya, originally by their predecessors, The Move. Playing a mutant 12 bar blues for Roll Over Beethoven to close, they returned for a triumphant, balcony-shaking, audience participation encore of Don't Bring Me Down. Not a chance of that, as the happy and hoarse audience proved.